For Malgrat de Mar, tourism is one of the essential factors for the development of the city. The most important tourism events allow us to promote our city, and that is why we consider our presence in the different International Fairs and Salons as basic, where we can make ourselves known, and we can obtain feedback on the vacation interests of visitors. This is the road that Malgrat de Mar started a few years ago, which is still alive and growing day by day. 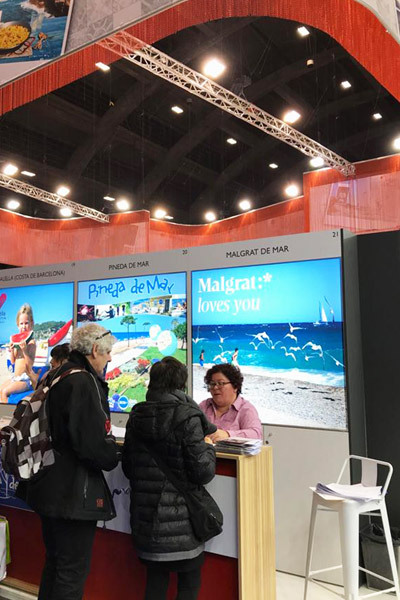 Just this January, the Department of Tourism has promoted the destination of Malgrat de Mar in FITUR Madrid, within the scope of Costa de Barcelona, ​​in a shared stand of Tourism of Catalonia. FITUR Madrid was happened from 23 to 27 January, and we are very happy to announce that we have received the Best Stand Award 2019! In Malgrat de Mar we have a lot to offer, we are a destination on the Costa de Barcelona that responds to the wishes of a beach holiday, but can also open a wide range of cultural, social and ecological opportunities. The routes through Malgrat de Mar to get to know the most immediate environment, both at an urban and natural level, the multiple activities that are offered within the town, as well as the festive popular samples of culture and tradition, suppose a great added wealth for the visitors that we receive year after year. That’s why, as we said, Malgrat de Mar is much more than just a beach destination. This premise is the one that guided the representatives of Malgrat Turisme in FITUR this January, and will be the one that will continue to lead them to the next Tourism Fairs in which Malgrat de Mar will participate throughout this year 2019. 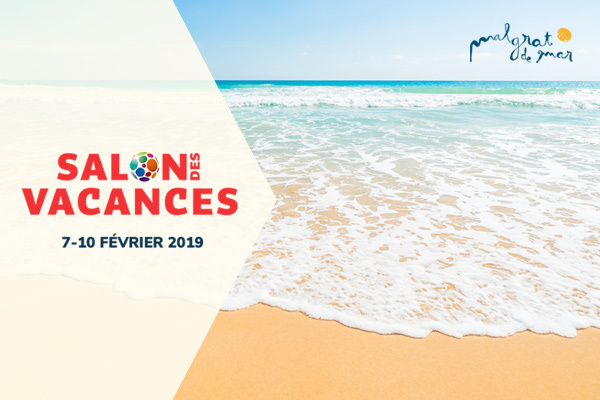 The most immediate is the Salon des Vacances in Brussels, which will take place from 6 to 10 February. It is the most important Fair in the Tourism sector in Belgium and is fully dedicated to the final consumer, with an average of 100,000 visitors. It is therefore a great opportunity for the Tourism Department, with its own stand, and within the framework of the Costa de Barcelona, ​​to promote our city with the pride of feeling it valuable for all its wealth in terms of tourism, social offer, cultural and ecological. There will be other occasions during the year to put Malgrat de Mar in the world tourism showcase, among them we have the well-known ITB (International Tourism Berlin), considered one of the most important international Tourism Fairs, and that will be celebrated from the 6th March 10th. The City Council of Malgrat de Mar and Malgrat Turisme, are already organizing everything to be able to manage this opportunity with all the guarantees of success. This is a contest aimed at professionals and agents of the sector, but during the weekend, it also addresses the final public.